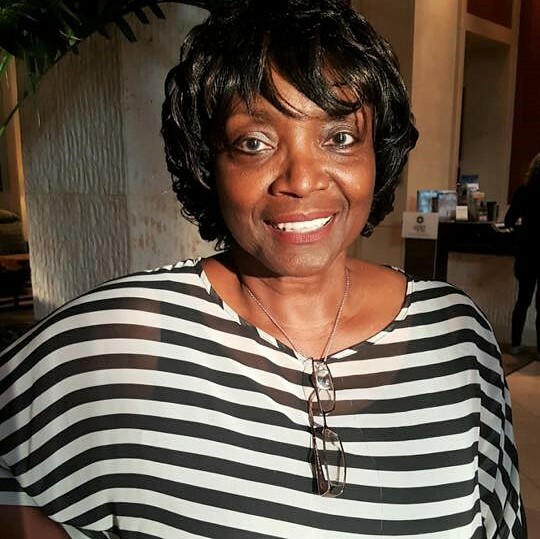 As a Nutrition Education Intern for Food Bank CENC’s Community Health and Engagement Department, Jacqueline Dawson travels to Kids Cafes in Edgecombe, Halifax, Lenoir, and Wilson Counties. She uses our Mobile Kitchen Kits to teach children all about healthy foods and how to prepare them. 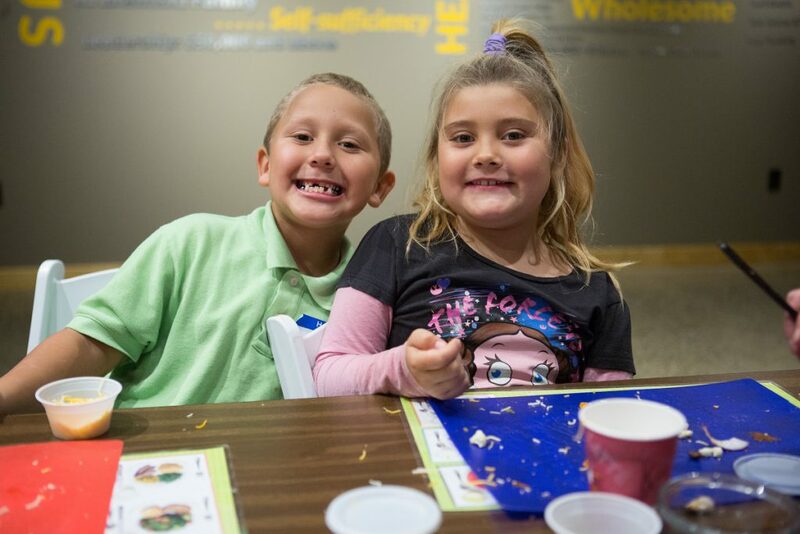 Kids Cafes, hosted by some of our Partner Agencies, are after-school programs that offer nutritious meals, tutoring, physical activities, and mentoring to children at risk of hunger. They provide a safe and positive environment for children to gather after school. The Food Bank of Central & Eastern North Carolina supports Kids Cafes by providing the food as well as nutrition education activities. Jacqueline’s after-school lessons are sticking with the children and their families when they go home. One student’s mother told Jacqueline that when they went grocery shopping, “All her daughter did was read the labels! After we laughed, she told me to keep up the good work and she is glad her child is becoming more aware of the foods she eats,” said Jacqueline. That’s where the rest of Food Bank CENC’s programs work together. We help stock shelves at over 800 local partner agencies and even pantries right inside schools across our 34-county service area, so that families can access food assistance near where they live. In addition, our Benefits Outreach Team helps people apply for SNAP (Supplemental Nutrition Assistance Program), securing additional dollars each month for purchasing food. Together, we’re providing children families with the knowledge, skills, and resources to break the cycle of hunger. 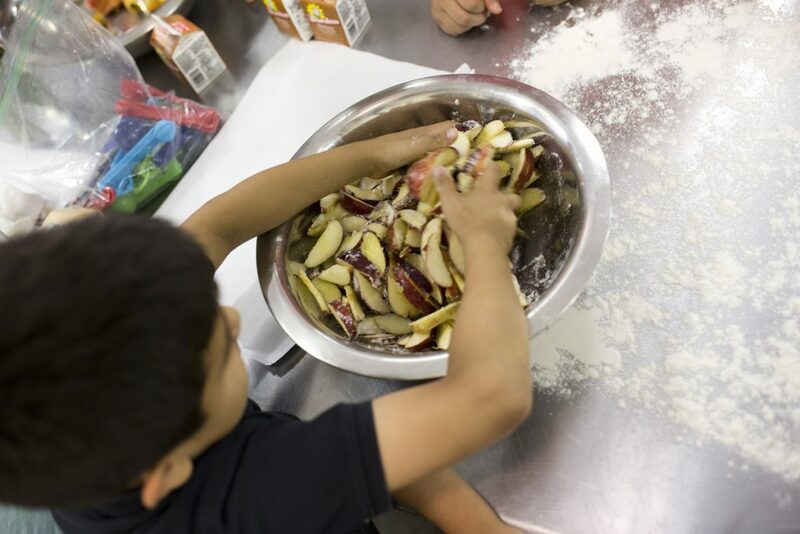 More than 60% of the funding we receive to support programs like after-school nutrition education comes from generous individuals, like you. No gift is too small, and through March 31 your gift goes twice as far towards making sure children in our community have the food and knowledge they need.